1. HDR, or High Dynamic Range (HDR), is a digital photography technique that results in very life-like and quite incredible images. Colors tend to be more vibrant and details are enhanced because HDR emphasizes the highlights and shadows. Different exposures of the same composition are uploaded for post processing, using various editing packages (Photostop, Lightroom, etc.) and specialized HDR software/plug-ins, such as NIK HDR Efex Pro, Photomatix and others. 2. In Photoshop CS5, for example, the Merge-to-HDR-Pro feature is what you use to import the multiple images, so you can then add various effects to the newly merged photo. For instance, when you check the “Remove Ghosts” box, the ghosting effect that is created when the images don’t quite merge correctly is eliminated. 3. In the same Merge-to-HDR-Pro dialogue box, you select an image mode from the Mode list of 8-, 16- or 32-bit images. 4. With either the 8- or 16-bit mode, you can use the Local Adaptation option to modify the bright areas of the image, which affects the tone of the HDR. 5. The Edge Glow option gives you the flexibility to adjust the bright areas regain settings. With these you can select the size of the bright areas and the distance between them and non-bright areas. 6. The Tone-and-Detail Option has a sub-set of additional options to program colors and tone details (Gamma, Exposure, Details, Shadow and Highlight). 7. Use the Color Option, in both the 8-bit or 16-bit mode, and its Vibrancy setting to strengthen the fine colors and Saturation setting to adjust color saturation. 8. The Tone Curve Option will help you modify the image lamination by adding and dragging points in the histogram. 9. The Tone Mapping Function of Photomatix, another HDR software product, includes many effects options. 10. Luminosity emphasizes the shadows and enhances brightness. 11. Micro-contrast improves the contrast of the details. 12. Smoothing affects the dynamic range of highlights and shadows. 13. Temperature raises or lowers the temperature of the combined picture. 14. Saturation highlights/shadows increases or decreases the saturation of the highlights and shadows. 15. Micro-smoothing moderates the picture noise. 16. Highlights/Shadow smoothness retains the sky’s natural highlights and shadows in a landscape image. 17. HDR Efex Pro from Nik Software is a favorite of PhotographyTalk.com and many of its members because it’s not just another HDR effects program. After more than 10 years of research and development, Nik is confident it has advanced HDR farther than all the others. 18. This starts with the use of four tone-mapping algorithms, while other applications have just one. This versatility means the preview window can show six preset suggestions, such as Landscape, Realistic, Architecture, Artistic, Special and Surreal. 19. Manipulate one slider next to the preview window to compress the tonality of the image and change its dynamic range. You can also apply universal capabilities, such as exposure, contrast, saturation, structure, blacks, whites and warmth. 20. Artistic Fine Structures, Landscape Postcard Paradise, Realistic Strong, Special Very-low Compression, Surreal Bleach Bypass and Manual are just six of various effects HDR Efex Pro will produce. 21. One of the reasons Nik Software is so sure it has upped the ante is its U-Point technology, which is a very powerful selective editing tool in HDR Efex Pro. With U-Point technology, you select an area of an image by simply clicking on it and then make changes to contrast, saturation, etc. using a control point and its associated sliders. 22. 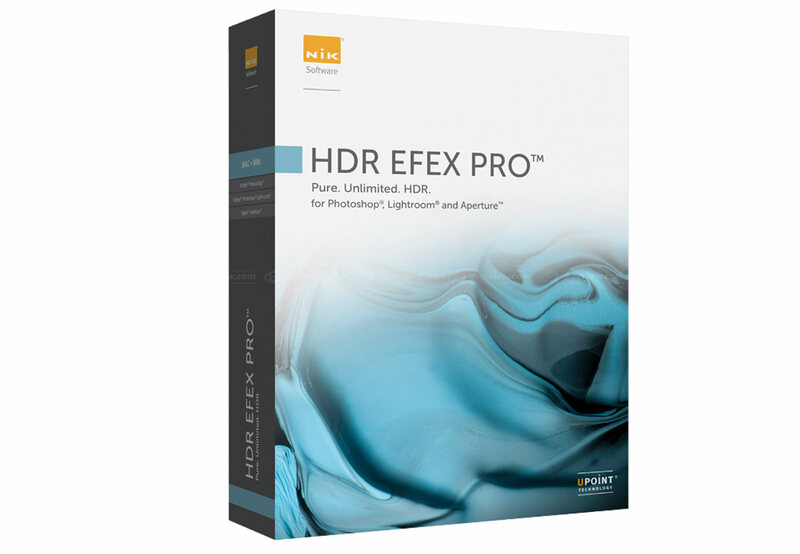 Nik Software is making it very easy for you to try HDR Efex Pro. Not only is there a 15-day downloadable trial, but also for a limited time, you’ll save $60 off the regular price of $159.95, when you order it directly from Nik.